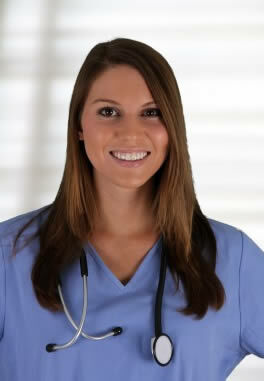 This page covers the available CNA classes in North Dakota listed by city. If you are looking forward to working in the healthcare field without an expensive education cost, then one of the best options would be to take certified nursing assistant classes. The cost of nursing assistant training programs is cheaper than most other medical courses and they are also of shorter duration. The possibility of finding employment after finishing the program is also high as there is a great demand for nursing assistants not just in nursing facilities but in hospitals as well. The number of people seeking the services of a nursing aide is greatly increasing which means that taking a class today could assure you of a job opportunity after you finish. Nursing assistants are involved in a large number of tasks such as infection control, safety and emergency procedures, promoting resident rights and independence, basic patient care, and communication and interpersonal skills. Aside from this, they are also required to take their patient’s vital signs; assist in their feeding, bathing, and grooming; and answer their patient’s call lights. They also document their patient’s health progress and take down reactions to particular medications and food. All of this information must be delivered to their medical superiors such as a registered nurse or a licensed physician. Nursing assistants also need to learn about medical equipment and terminology in order to deliver their services efficiently. They also inform patient’s regarding the effects and side-effects of particular procedures and medications on their body. There are various facilities and institutions which offer nursing aide training in the state of North Dakota and they are also very affordable compared to other states. The state requires a minimum of 75 hours of training which shall include both classroom and practical training in a licensed nursing facility. There are several colleges which offer CNA training such as University of North Dakota Lake Region which lasts for about two weeks; Fargo Adult Learning Center which offers a three-week program for $530 with a practicum at the Bethany Homes; North Dakota College of Science and Technology for $200. Aside from these, there are nurse aide training programs offered in Bismarck Public School, MedCenter One, Golden Acres Manor, and St. Benedict’s Health Center. Some of these nursing facilities can offer you free training while you work in their facility. After finishing the course, the student will then be eligible to sit for the state competency exam. The state requires a state and federal criminal background check, physical exam, TB test result, proof of immunizations, and a high school diploma may be required by some schools. The state competency exam is composed of two portions – the written exam and the skills or practical test. The applicant should successfully pass both tests in order to gain a certification and be allowed to work as a nursing assistant. You can visit this link to read more about the current nursing assistant certification requirements in North Dakota. As of recent surveys, there are about 10,000 employed nursing assistants in the state and there is a continuing rise in the demand for this type of work. The average annual salary for a CNA in North Dakota is about $ $24,000 which may go higher or lower depending on one’s location, length of experience, and type of employment. Many CNA’s in the state gain experience in the health care field while studying to become a registered nurse and receive a high paying career.